by Betsy: ZIA - is this a pattern? 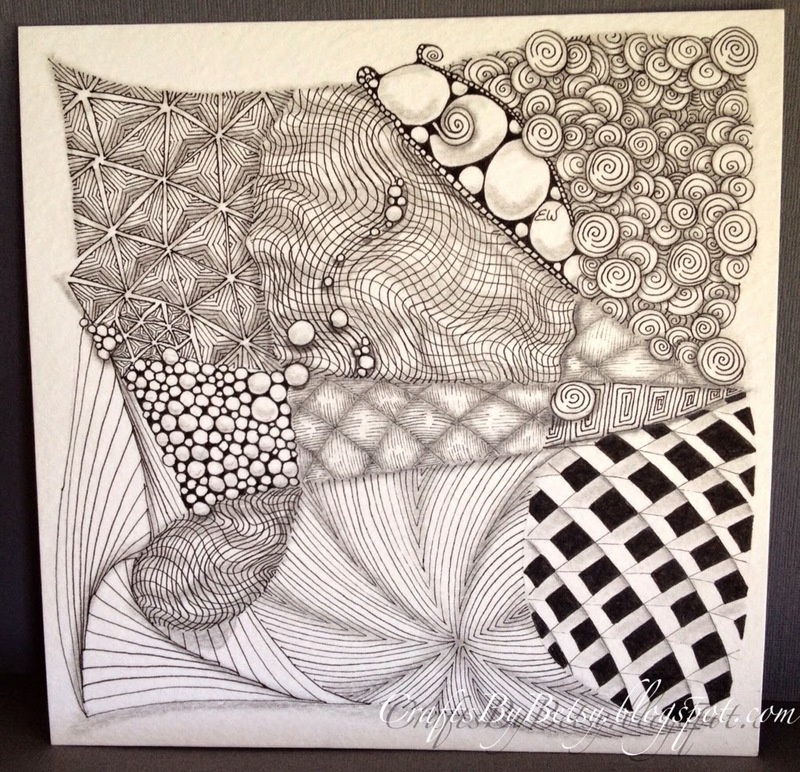 This ZIA (Zentangle® Inspired Art) is done on a 7" x 7" piece of watercolor paper. 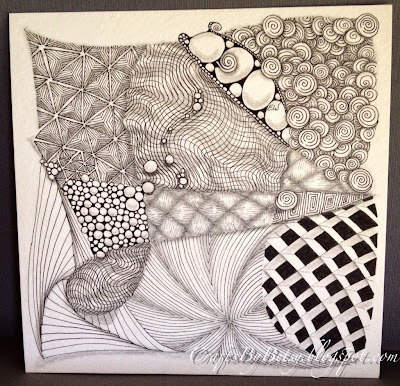 Tangles include Xircus, Tipple, Tripoli, Printemps, Orlique, Paradox, Yincut, Onamato, Cubine, and Ambler. I love the black and white. And in case you thought I was going to give the ZIA cards a rest, sorry, I'm still at it. 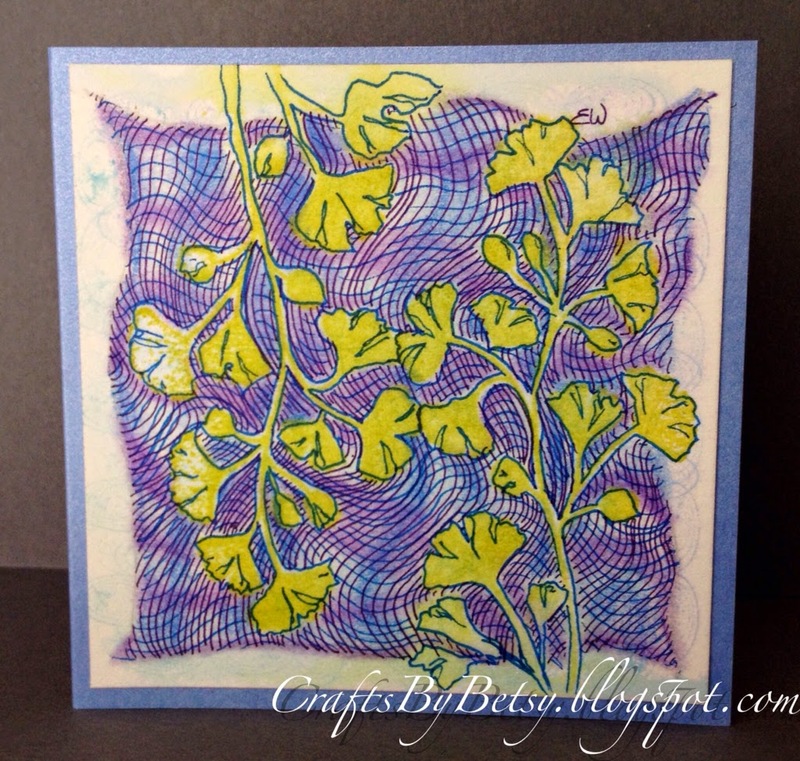 The base layer includes stamping oval swirls by Stamp Francisco with Ranger Distress inks. 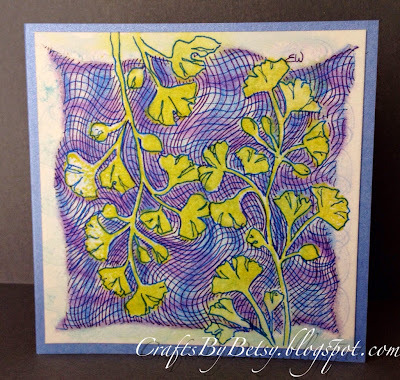 The Ginko Stamp is by Stampin Up(Images © 1990-2014 Stampin' Up!). I tangled Orlique with blue and purple Sakura Pigma Microns and shaded with Faber-Castell Polychromos Colour Pencils. As this is a 4" square, I decided to go with a 4.25" square card base which can still use an A2 envelope. Since I'm finally all caught up on my card making for the month, maybe I'll give it a rest for a while. We'll see.